Want SEO Made Easy? 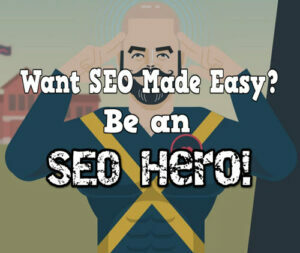 –Be an SEO Hero! 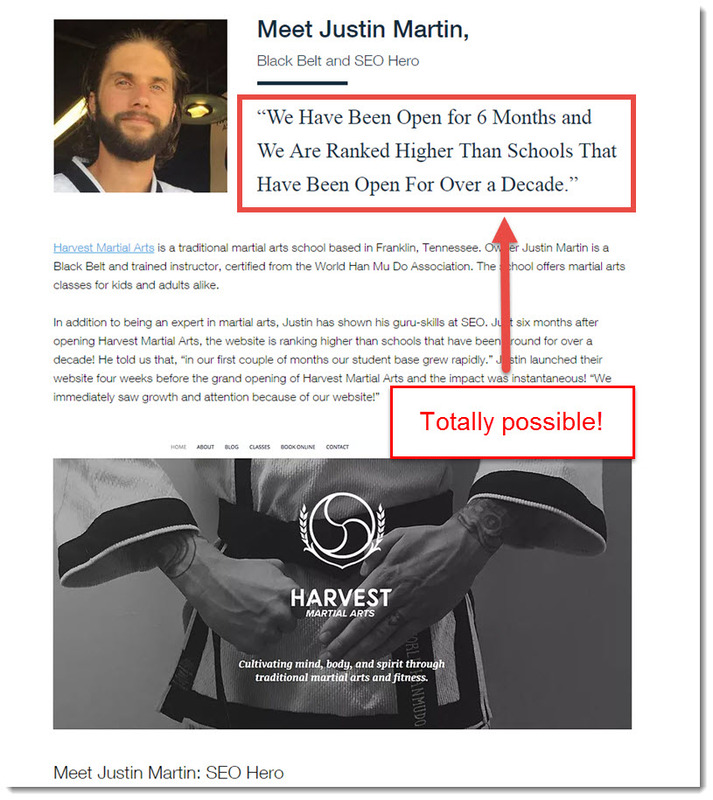 Wix has just stepped into the blogging arena with their own brand called SEO Hero School and I was pretty excited about this. I heard the viral marketing happening all around but I never bothered to look until one day, I got an outreach email from them which got my attention. What is SEO Hero? –A different Take on SEO. Ever wanted to learn SEO step by step for free? –That’s SEO Hero in a nutshell. In the online world, we usually read blogs like Moz, Quicksprout, and Hubspot when it comes to learning anything SEO. You can say that they are like the powerhouses of the SEO world but as one of the leaders in the website building platforms today, Wix started creating blogs about SEO themselves. Their tips are jam-packed with good info but as most of us have probably experienced, it would be a wee bit difficult to understand the SEO world if you are new to everything. Things like XML Sitemap and indexing might all be very new to you so you’ll have a hard time understanding everything – that’s where SEO Hero comes in. Created by popular website building platform Wix, SEO Hero is designed to help website owners get an edge online and to manage their website the right way – By focusing on good content and abiding by Google rules. It’s a fun, very immersing way to master SEO regardless if you are a newbie or veteran. Reason #1 – Story telling-based lessons. Alright there are some people who doesn’t like stories and they prefer studying through direct facts but learning is so much easier with stories. Even when we were studying in colleges, we try to make up simple stories connected to the topic at hand as they make things more interesting and that it also helps us remember points better for exams. People are attracted to visuals and if you read anything at all even at newspapers, you would obviously look at that huge image first, wouldn’t you? 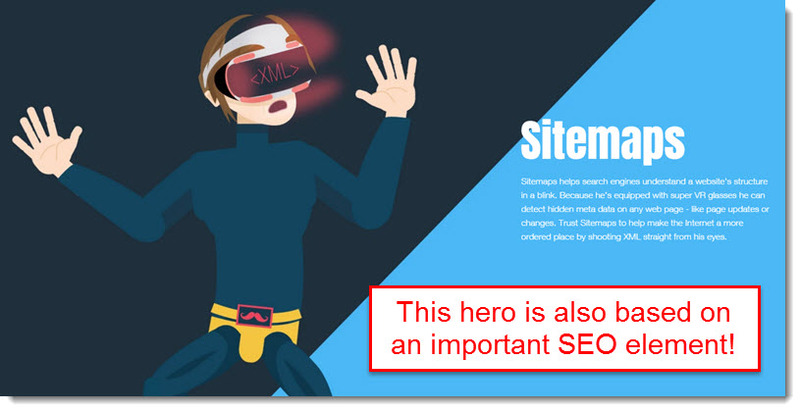 SEO Hero did this right by teaching lessons in form of stories and honestly, I love how easy they’ve made it to learn SEO! 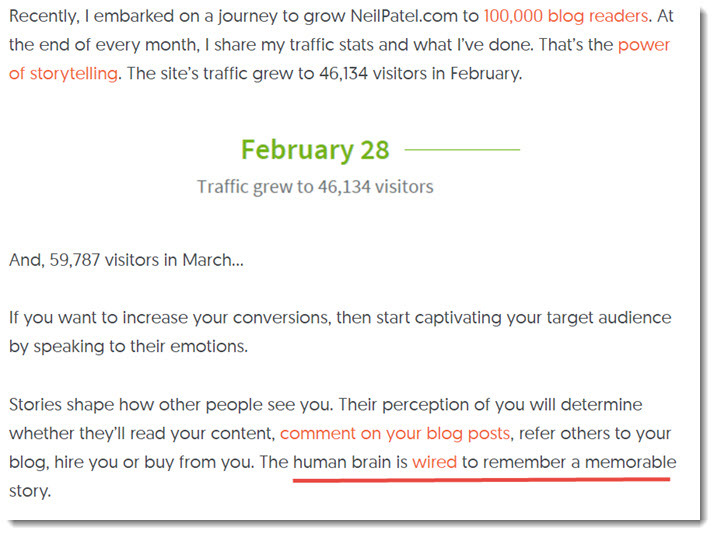 According to Online Entrepreneur Neil Patel, human brains are wired to remember a story. 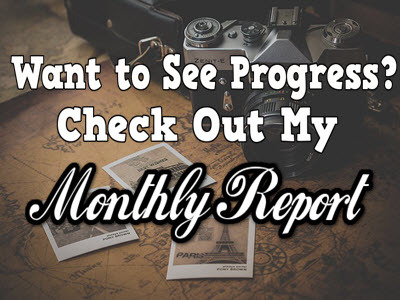 Every month he tells us his stories of how his blog fares through the month and his subscribers grew tremendously every month. Wix started their SEO teachings right with story-telling the whole thing which I would say is their greatest move yet. It takes a lot of work to do that so how did they plan to maintain their efforts for all their upcoming blog posts? Reason #2 – Interesting Superhero characters! Ever wondered how Wix write story-telling blog posts regularly without running of ideas? Even authors have writer’s block and the key to overcoming that, is to find something constant that you can start writing about in every article. For Wix, their solution to that is by… *Drum rolls*… Creating their own superhero characters! It sounds cheesy but even the characters themselves are created based on SEO keywords to help you understand them better. For example, the SEO Hero character Blogan will teach you the importance of writing proper content that is evergreen because that is the real way to make Google love your site – Not by creating cheap, short one-paged sites. XML Sitemap is also an integral part of ranking in Google and having good SEO strength for any website and many website owners do not know this because the name sounds so complicated. I had to watch a few Youtube tutorials in order to learn but as you can see, Wix made it sound so easy to learn! I won’t spoil more on the heroes’ part but I just wanted to pointed out that learning SEO has definitely become really fun now with superheroes on board. Too lazy to keep searching for ways to update yourself on Google’s changes? We’ve got you covered. You could also check for short tips to remind you on what things you should or should not do when managing your website. SEO is very wide and often times, I get too overwhelmed with learning that I often forget the little things that make a huge difference on my site. Knowing things like the right format, the right keyword or even the right content to match could mean great traffic for your website. Reason #4 – Quality Blog Posts to Teach You in Greater Detail. 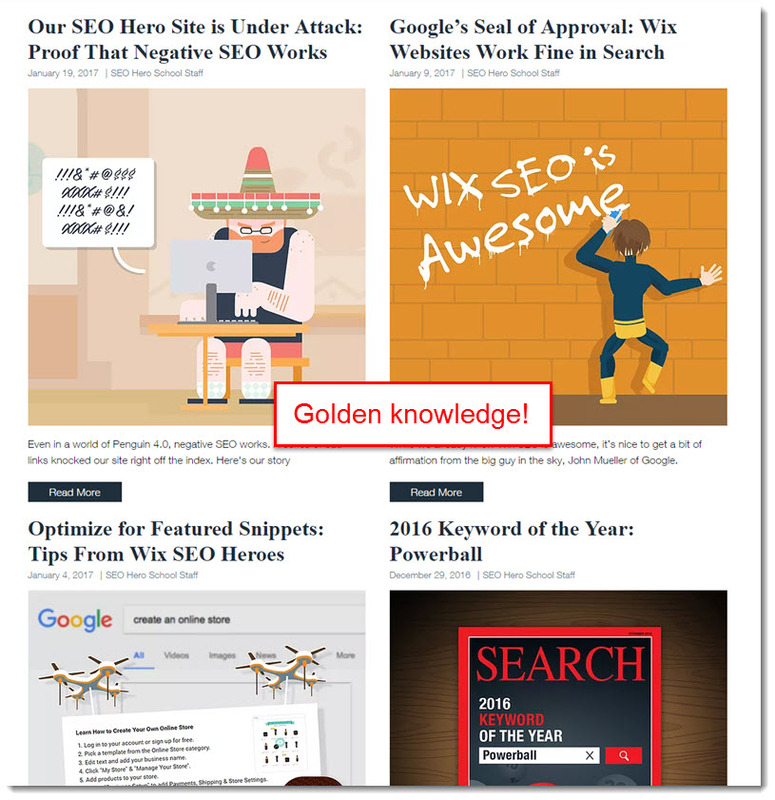 Very much like what I’m doing here on my blog, Wix’s team is also writing regular blog posts for SEO Hero. As a blogger, I know quality and I know cheap – SEO Hero’s posts, is more than that. I was surprised that they really put in effort into writing their content – Very rich with knowledge, quite in-depth, and they touch on important information to help you bring your website up. Things like keywords, ecommerce, business tips, and even something I’ve never even heard of before like using Moz Explorer to find more topics related to what you’re targeting. Entries are already closed for this competition but the talk all around the web is how hot this competition is and has become. Entrance is closed December 16, 2016 and there will be no new competitions until they finished this current one which will take 4 months. Basically, you can win $50,000 if your website can reach the top position in Google’s first page for the search term “SEO Hero”. It shows how confident the Wix team is of their website building platform’s quality for them to throw away that much money for anyone who can beat them. And it’s also to prove that Wix’s websites are just as good as other high quality website building platforms such as WordPress and Joomla. Reason #6 – Quizzes to Help you Keep Track. Learning SEO is mostly technical and we’ll never know if we fully grasp everything or not. Even for someone like myself, I have been in the industry for 3 years but still, there are things that often slip my mind such as the methods to market a blog post through Linkedin or Google+, or even some word definitions like what on earth a subdomain means. Although I’ve learned a lot of things and are implementing them today, I often read blog posts to keep myself updated and do quizzes to make sure I remember everything and I am at the top of my game so that I won’t waste reading again in case I forgot. SEO Hero’s quizzes are actually pretty insightful, I’ve learned new things from questions I couldn’t answer. I love reading success stories, don’t you? Stories like how Bill Gates created Microsoft, how Richard Branson created Virgin Airlines, or even how Tony Fernandez started Air Asia with just RM1 do inspire me but sometimes, those may be a bit too high of a goal for some people to achieve. We can admire them but not everyone can reach that kind of level. Some people have simple hopes and simple dreams but for us, we are content and might even get super inspired to see the little people who nobody knows, succeed. Like how the flower shop lady down by your apartment suddenly moved to a bigger shop from just a simple kiosk, or how a random dude started a small cooking class in his home suddenly manage to open a diner. Achieving visibility for any business can be achieved in an instant when you have a website and good SEO. 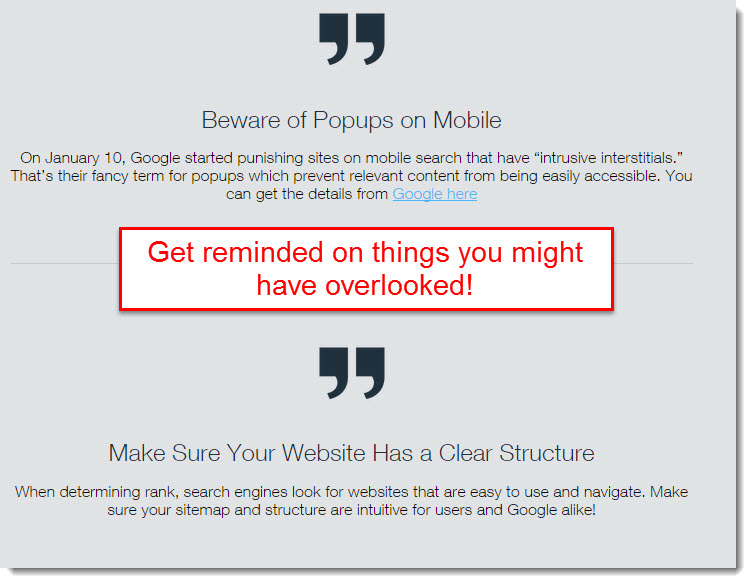 No matter how big your business is, your visibility is limited if you don’t have a website… Not to mention the fact that you’re not updated to the trends today and that is how small businesses can succeed. Long story short – Without a website, your customers are limited demographically. With a website, the entire would notices your business. Wix understands this and has done a real good job at showing how normal people like you and me started a business and used Wix to create their own website and achieved success. When it comes to SEO, most people would think that it’s all about content creation and tweaking your website in order to make it function better. Those do work but true SEO consists more than that – You also need to do your own added marketing efforts on top of that in order to make your website more visible. For example, Wix already has a powerful brand, good reputation, and reliability. However, the problem with that is that Wix is not the only one in the market – There are other website building platforms who are just as good such as Weebly and Wealthy Affiliate. So what they did was that they started doing their own SEO blog to set themselves apart while getting more visibility from their readers and all this, they cover within their posts. Their techniques work and I felt like sharing this with you because I experienced it myself, particularly the approach emails. The art of approach email. When I first got an email from Wix, I never actually bothered to read because I thought that it might be a spam but after I received their second email a week after, I was sold. I replied and checked out their email and I went through their content – I was totally blown away. It was exactly as they mentioned in their content which is why I’m confident that the knowledge that they share works and this article is proof. John Mueller’s statement on Wix. Wix has gone a long way and if you doubt the quality of the websites created, its safe for me to say that you don’t have to worry about it all because Google is actually fine with it. That means that any website being created through Wix can definitely rank well – If it doesn’t, than that’s probably just you not putting enough effort to improving your site. SEO helps to get your website on the first page of Google. It also helps you find out just how well people react to your business through conversion rates. It helps you find an opening to give your business an edge amidst the huge competition you’re facing. I love Wix and I’m totally psyched to know that they’ve launched SEO Hero and shared their knowledge to help website owners grow their sites in the right direction. I’m foreseeing awesome things from them in the near future and I can’t wait to see them update their results on the competition. Till then, thanks for reading and have a great day! 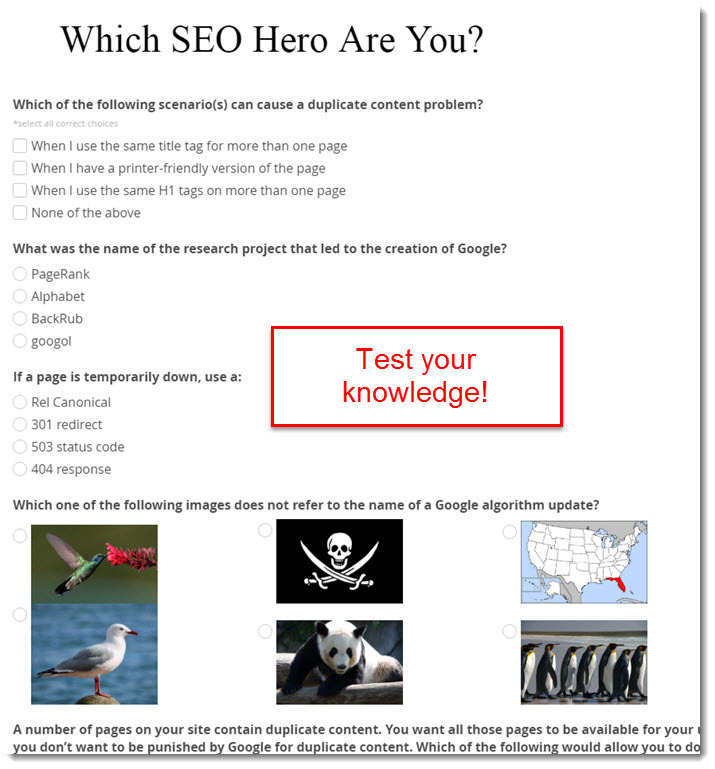 I’ve done quite a bit of SEO research in the past and I can’t believe I never ran across SEO Hero! Thank you for this article and all of the information in it. 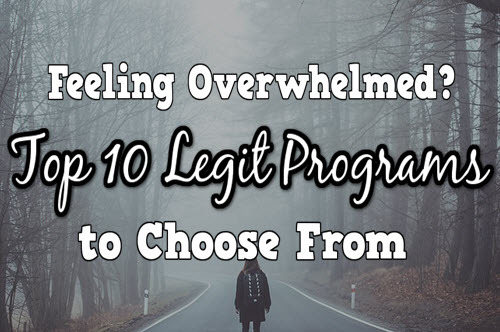 I plan on following through their training soon, and I think it will be a great addition to the information that I have already learned at Wealthy Affiliate! Thanks again for this information, it was truly helpful! It definitely will Laetyn, WA’s lessons aren’t perfect and learning new things will definitely boost out site up too. Cheers! This was a very good read! I didn’t know WIX had an SEO program and was teaching people how to use SEO better. To top it off, all of this is free? Some people are willing to pay top dollar to learn some of the basics of SEO. Thanks to you I will dig into this a little bit more thank you for sharing this information. Righto Michael! They are free with their SEO teachings because their motive is to educate the wix website owners on how to grow their website more. Glad you liked the article, hope you have a great Thursday! Hi Riaz, I’m excited too about this new product. What is the cost of SEO Hero? I apologize if I missed that in your post but I did read every word. I’ve heard of Wix but had no idea how seriously they were going to take this business, unlike GoDaddy which does nothing. I too am a SEO newbie and know I need to do more. Can a person go back to previously published posts and SEO them again? I have missed so much but I will definitely check out SEO Hero. It sounds amazing and who doesn’t want to be on Page #1. I’m always shooting for that. Thanks for this. SEO Hero is basically a blog teaching website owners SEO and they are taking a more interesting and fun approach. You’re right about Wix, they are getting a bit more versatile with their efforts but as for Go Daddy, they are just as good but all they see is a way to make more money off their users. great review on WIX SEO, I’ve never tried WIX but I do know of people who use it and are fairly happy. I do prefer WordPress over other CMS platforms because I just think I can do more with it and there’s so much more available. The WIX SEO looks pretty interesting, but I’ve found that Wealthy Affiliate has all the training I need including SEO. It’s great that WIX is stepping up and to be honest it does look interesting. BTW your WIX SEO link doesn’t take you to the right destination. Wow thank you for informing me on the link, I’m guessing that there might be having some problems regarding the link. I’m quite surprised as well as I’ve just contacted their representative, let’s just wait till she replies. Is learning about SEO enough to be successful online? I know there are plenty of websites out there that can help you earn an income online. Some just share info and others you can actually be a member of. In your opinion can you be successful just from learning everything there is to know about SEO or is it necessary to join one of these online internet communities. Thanks for your advice! That post was unexpectedly interesting!! I will check this SEO Hero asap. Is it for free?? I would have also thought that these superhero characters are kind of cheesy and childish BUT if they help me understand and clarify all these terms in my mind…. i am printing a superhero t-shirt! I hope you get google ranked first and win the competition! Thank you for this awesome review. 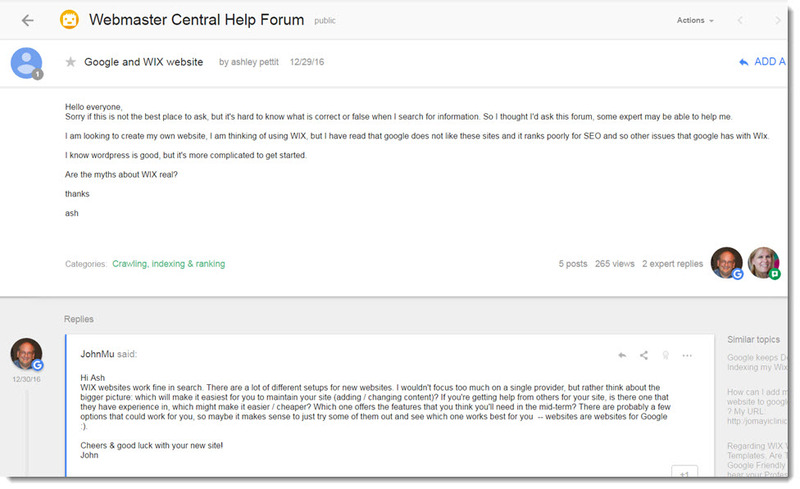 I have been in SEO for a while, but it is always great to hear other peoples points of view on the subject. I can’t wait to check out this new course located on Wix to see if there are any tips for me to try going forward. This is my first time hearing about SEO Hero, at first, I was wary but once I know it’s from Wix, it sounds promising! I’ll definitely check it out, very interactive guide indeed and loving the super hero characters, I think it’s a great way to interest starters. I think Google also just launched their online marketing course a while back and the other amazing SEO guide I’ve read is by Moz, have you read it? If yes, how do you think it’s compared to SEO Hero? Thanks for sharing and keep up the great work, mate! 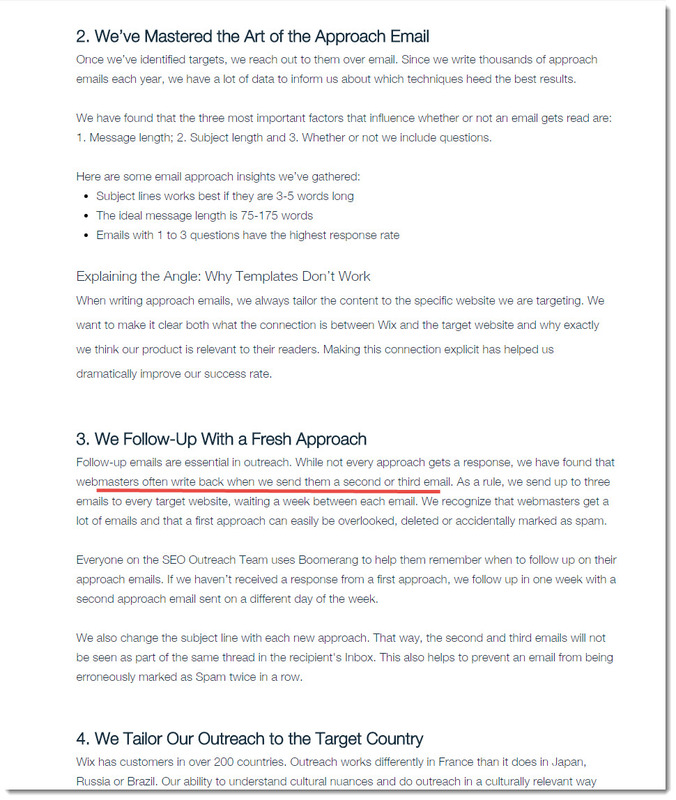 Nice hearing from you again and nope, I have not heard of the new SEO guide by Moz but it seems that Rand Fishkin is everywhere now, very much like Neil Patel. Pretty exciting knowing these super bloggers influence everything online, even Wix’s SEO Hero has Rand inside as a character. Definitely checking out that new Google release, thanks for dropping by! Nice site man. I’m still really new with understanding SEO and ranking in search engines, so this information is extremely helpful for people like me. I’ve been in WA for a couple of months now, and that is the only website experience I have. I have much to learn, and it’s good to know that there is some good training out there like this. Glad you find my article helpful Jeff, thank you! All very solid advice. Many people do not realize just how important SEO is for a growing business. I also never know about Wix – I did additional research on them and they definitely seem like a reliable website domain hoster. Making superheroes off keywords is an extremely creative idea and a great way to draw attention. I may consider that for my blog! The WIX blog on SEO seems like one that would be worth checking in on regularly but do you have to be signed up to WIX services to gain access to it? Is it worth it for the information they provide? No, you don’t need to sign up, Ryan. I don’t think you need to sign up to any blogs to read them. I read this article with great interest. I love the story telling aspect, it sounds like my kind of learning! I am interested in trying out SEO Hero. My question is, you said that it’s free – is that free for anyone, or just people that are using Wix? It’s free for anyone Nancy. As I’ve mentioned, its just a blog. It’s such a relief to see such a well though out and well presented blog post. I’ll go so far as to say I’ll probably reference this post for some of my future posts. 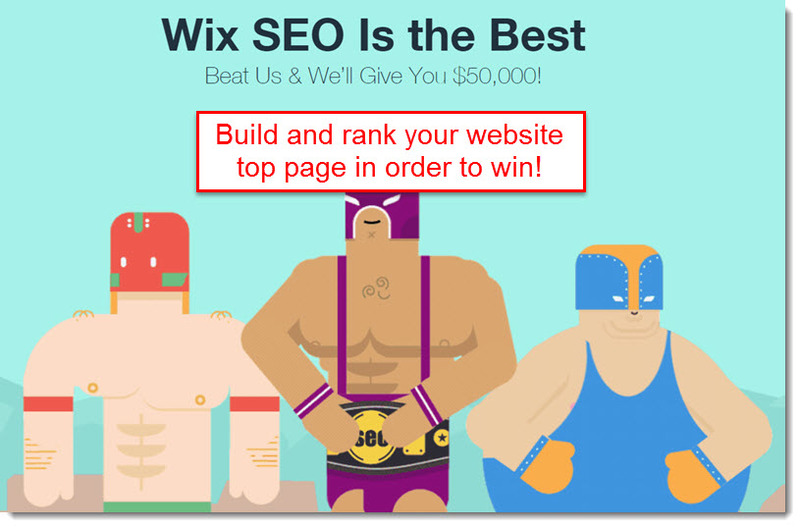 I used Wix years ago and will definitely check them out along with their SEO Hero. My only fear is that I’d be splitting my efforts from other programs I’m already using to enhance my website. I think if you’re just starting out, definitely give it a look, but I’m really not sure how to incorporate it if I’m already using something else. Awesom info and keep up the great work Riaz! If you’re already using another program, it doesn’t really matter as SEO Hero is free and it’s only a blog sharing SEO tips. Awesome to add some tricks to your SEO arsenal and you don’t have to sign up or anything. Sure it’s under Wix but this is only their blog post to help their website builders learn how to grow their site even more. I really appreciate your kind words, thank you and if you have questions along the way do feel free to ask yeah. Have a great Thursday! Thanks a lot for this informative post. I was completely oblivious to SEO Hero before reading your post. 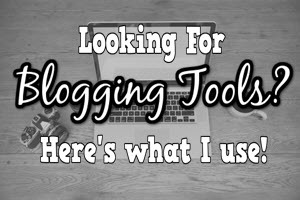 I have used Wix in the past but it wasn’t my cup of tea so I left it and started using self-hosted WordPress blog. But after reading your post, I’m certainly gonna give it a try. Let’s see what all has improved in Wix. They have updated a lot though, do give it a try. Good luck! Riaz, I had no clue Wix had done all this recently. I had used them before in the past. Moving forward with new websites, which platform would be the best for me to use? You had briefly mentioned two other platforms, Weebly and Wealthy Affiliate. What is your recommendation on which platform I should use to grow a healthy online business? That depends, Nick. As I mentioned, Wix is great for eCommerce type of online business but if you’d like a blog approach, WordPress is the best and you can get the most of it through Wealthy Affiliate. 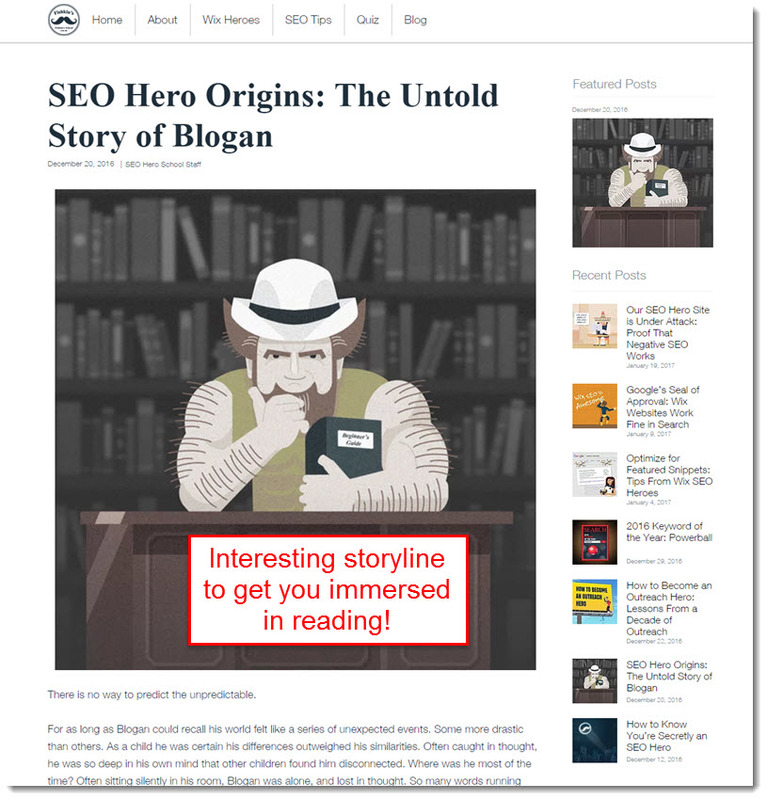 thanks for a great, informational article on SEO Hero! I had no idea about this product and will check it out after reading your thorough review. I knew they offer website platforms, but didn’t know about the SEO part. I think it is very smart of them to create this program on story telling. I didn’t know that the human brain is programmed to remember stories, so that was cool, and makes total sense. If someone tells you a good story, you tend to remember it better than just plain facts. You mentioned Moz Explorer. What is this? Thanks again for all this good information. Moz Explorer is a keyword research tool, it works very similar to Jaaxy but as you may already guessed, is owned by Moz and thank you so much for the kind words! Human brain is indeed programmed to remember stories, I’m sure you have some nice memories of your childhood right? But close to zero on what you learned at school, that’s normal. Thanks for dropping by, hope you have a great Monday! Your site is awesome man. Love it. Eyes on the prize eh Leslie? One of my motivations as well and things are looking pretty interesting too with the SEO advancements. Happy Lunar New Year man, thanks for dropping by! A really interesting mode of learning here. There is so much to discover for those trying to get rankings and visitors and this is a novel approach to going through a course. You are right. People love stories with characters and this strikes me as something that will be very successful, not to mention enjoyable. Stories are immersing, aren’t they? Glad you liked the article, cheers! This is the first time I hear about SEO Hero and I already checked their website! I am in love 🙂 This is really great approach with all the heroes. SEO has always been like a mystery to me and I have always wondered what is the right way to do it or should it be done at all. Now I hope to get the answers to all of my questions and I hope to bring my site on a new level! That’s great news Arta, if you can’t get your answers to SEO you know where to find me! Marc, if you’ve checked out my site you might have noticed the About page and Get started page not to mention my logo where I tell you what I do? In case you didn’t see, well my blog is about me sharing my tips on how to grow a blog and drive traffic while avoiding the pitfalls common beginners make. Hope that helps. 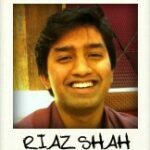 Hey there Riaz, I just saw your website as i was doing some research on SEO and how to improve my knowledge and skills! This looks really awesome and i have just taken a look at the SEO Hero site too. It seems to cover a wide array of material and I love the structure too. Stories and quizzes looks like it will make it really fun too! I wanted to ask, is there a payment plan for this SEO Hero service. I was looking but was not able to access the courses and could not find a place for a payment plan! I’m not new to SEO but I have still learning, well you never truly stop learning! I am always looking for new references and educational sources. It seems like Seo Hero is an amazing tool to learn SEO and rank in google. The tools seems to offer plenty of education material and made it fun to learn which is something schools can learn from. How much does SEO Hero cost or is it free with a membership to Wix? Its free Salvatore, its just an upcoming blog project that Wix came up which I hope to be one of the powerhouses of SEO for small businesses. Glad you liked the info, thanks for dropping by! Great article! I think anything that makes SEO more understandable and easy to learn for non-techie minded people is a great thing. Sadly a lot of people really underestimate the power and sheer potential of top quality top notch SEO has. I’m hoping they blow a $50k cheque your way! for winning the “SEO Hero” Competition! I would love to join but unfortunately, registrations were already closed when I find out, bummer! But I hope to get updated and check out on their competitions after they finished with this one on March. Let’s join together! I think it’s a pretty good idea by Wix to use these types of heroes, almost Marvel-esque with this idea. But – it works, people will like it. Anything that makes SEO easier is good in my book. I quite like Google’s new approach, quality content that is natural and evergreen. It used to be a bit of a science but dare I say, it’s getting easier? Have you actually implemented any of the information by Wix? I actually did Craig, like the outreach marketing they I mentioned its actually pretty useful. All you need to do is to have an email template and email all the other site which you feel can benefit your business. Keep a list of your action plan on excel so that you won’t go get overwhlemed and just follow the marketing. In a week or two, you’ll get endless calls for sure. 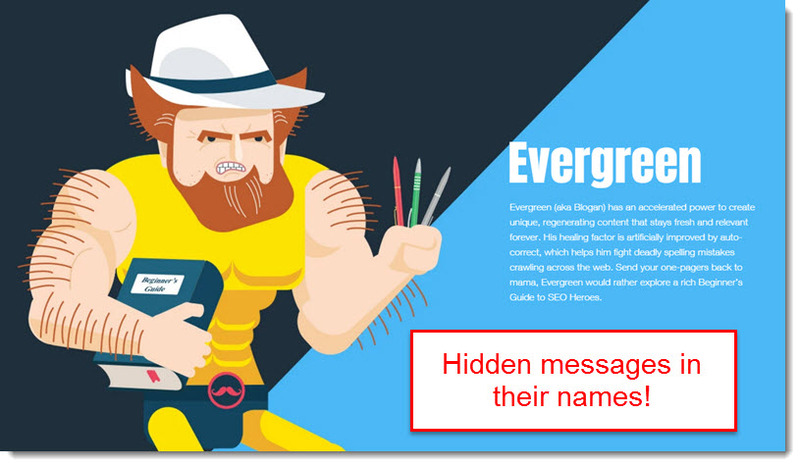 I love everything that I just read about SEO Hero. I am only about a month in on my SEO learning journey and I am always looking for new ideas and strategies to help improve my business. I look forward to checking out the program and I am sure that it is going to teach me a fair amount of information that I did not know before. Thanks for the article! Awesome to hear that Hunter, I too am always looking for ways to sharpen my SEO skills and you’ll definitely learn a thing or two here than the usual things you’ve learned elsewhere. Hope you have a great Wednesday! Wow! I didn’t realize Wix was going after the SEO game in a learning platform like you described. I think that the story format is going to be very helpful for many people wanting to master SEO for their websites especially local businesses. SEO generally be looked at as a very time consuming and boring necessity that usually gets farmed out because no one wants to take the time to learn it properly. I am going to have to see how involved this WIX SEO hero is. Thanks for sharing! Totally agree with you on that point Michael, nobody wants to take the initiative to learn it because it seems difficult and overwhelming. Wix’s different approach is definitely going to attract a lot of local business owners though. Wow, I checked out wix and it does look very cool. You also seem to be able to learn a lot just by using their site, without having to build a wix website. I particularly liked the daily tips. They are short and to the point, with a link if you want to learn more. Thanks for the heads-up, have you built a site using Wix or do you just us their info? Hey Deb, I do have a Wix site as a matter of fact. I use WordPress for blogging but Wix, I’m using it for ecommerce as their drag and drop feature makes it pretty awesome to get through all those technical stuff. Hi Riaz, SEO is something I have always struggled with for my site, I have hit low competition keywords but still have struggled to see the results that I desire. Perhaps the SEO hero will give me a hand and have a bigger glimpse on the bigger picture. I am a WordPress user, would you recommend me converting to Wix? Glad I could help out your SEO understanding David, it also took me quite a while to understand how it works so maybe a different learning style could help us grasp better. Thanks for dropping by and good luck! I want to let you know that this is one of the most awesome blogs I have seen and, specifically, the graphics and images. I am not familiar at with WIX. You have certainly created a curiosity that I will be sure to pursue. The SEO world is another area I need to understand better and you have demonstrated the importance of increasing my awareness. Thank you for your great post and keep up the great work! Wix certainly tapped into a popular meme with the Hero angle! The Marvel comic line of movies that has had outstanding box office success for a couple of decades now (with no end in sight!) is indisputable proof. What seems to be missing both in your post and also when I clicked through to the site, is course prices. The use, or membership structure if there is one, remained a mystery to me. Did I simply miss something? That’s because there’s no membership at all for SEO Hero, Dan! Its a blog website very much like Moz and Hubspot and their paid service is only on the Wix website building service. I like how well written and informative your article is. I was looking for some good techniques to attract more visitors to my website and I found your website. I love how you have reviewed The SEO Hero. Probably gonna sign up to it because of the daily tips that they give, which can be really useful. Thank You for your help. Awesome to know that you liked the techniques Thevin, there’s more stuff you could pick up there everyday like their marketing outreach, that’s good stuff right there. Appreciate the feedback, hope you have a great Monday! Thank you for your interesting and engaging post on Wix. I am still quite new to Internet Marketing and SEO and your article has certainly made me interested to check them out. Am I right to say that Wix is actually selling their website building platform? And to engage their customers by providing more value, they are teaching SEO through the SEO Hero program? I am familiar with WordPress, do you know if it is hard to switch to Wix? Or does Wix use WordPress as well? You’re definitely right on that, Steven. Wix has been proving their website-building service for years and now, they’re taking their efforts up a notch by providing more value through SEO Hero. It’s a only been a few months but I’m seeing great things coming up in the future. Hey there, just wanted to let you know your blog is awesome with a great personal touch. 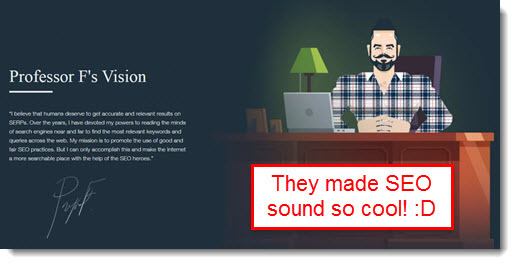 While I do not have much experience with WIX (although I did try them as my site builder), I’m excited to check out SEO hero for myself, thanks to your review. Since I haven’t been in the game for too long, SEO is something that I have personally struggled with. Thanks for bringing this to my attention. Glad you liked the review, I hope you can learn a lot from their updates. Have a great day!